A classic lab diamond tennis bracelet made with the best conflict-free diamonds on earth. Available options: platinum, 14k or 18k gold: white, yellow, rose. All of Ada's bespoke fashion pieces are custom made to order with diamonds hand-selected for quality, fire, and brilliance. 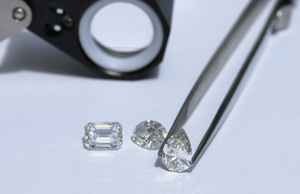 Start your custom piece of sustainable, conflict-free fine jewelry today with a Diamond Concierge today. Ada Diamonds Design Description- This simply perfect tennis bracelet features brilliant lab grown diamonds set in 14kt white, yellow, or rose gold. May be available for immediate shipment. Please inquire. Additional Description- Simply brilliant Tennis Bracelets in 14kt white gold.